In competitive sports an increasing demand for both effective and efficient training methods can be observed. Priority is quite often to improving both the efficiency of the muscles adn its power as well as optimising coordination and technical skills for the specific discipline. Read how you can achieve these goals with the help of Galileo Training and how you can use Galileo as a versatile technique to resume training after long breaks, and stabalize performance over the complet season. One of the very important factors fro athletes is rapid recovery in-between competitions or after intense exercise. Time-efficient and effective measures are required. 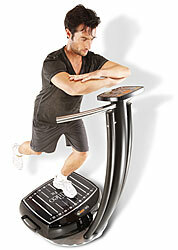 Galileo Training can stimulate metabolism and blood flow within the trained body parts. Anabolic and regenerative processes within the muscle and surrounding tissues can be accelerated. By applying low frequencies, muscles can be loosened, relaxed and refreshed, delayed msucle pain can be decreased. Galileo Training can be combined effectively with conventional regeneration techniques such as getting a massage, using a sauna or going to the spa. 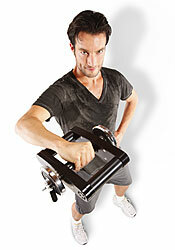 Improvement of force and power with Galileo®. 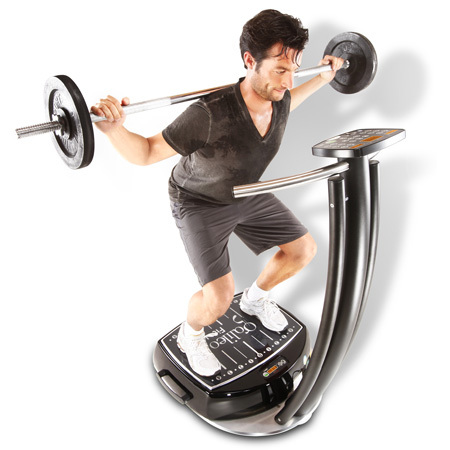 Galileo can boost muscle strength, performance and the quality of daily and sports specific movement patterns. Compared to most conventional training types Galileo Training can put a lot less pressure on the joints and ligaments - even lower than everyday movements such as walking, climbing a flight of stairs or jumping. The repetitive nature of Galileo Training can also help to improve inter- and intra-muscular coordination. Training effects can be enhanced, movement patterns acan be refined and stabilised and movements can therefroe become faster and more accurate. Top athletes, personal trainers and health-conscious individuals are constantly looking for effective and safe methods to explore or enhance their limits. Galileo can offer this possibility. 5-10 minutes of Galileo Training as an integral part of your training session can achieve sustained improvement of force, power, agility and coordination. Faster recovery after breaks in exercise. Galileo can be successfully used to resume training after long breaks - voluntary or mandatory. Galileo can reduce the risk of injury by improving the interaction of the muscles and supports tissue regeneration. As a result athletes can recommence training sooner and are revitalised going into the next training session. Endurance training, increased endurance capacity. Galileo Training can significantly increase enduracne capacity, as shown by a study of teh ETH in Zurich. 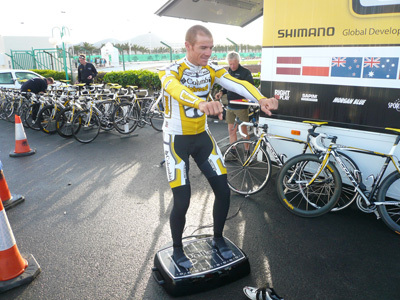 The Swiiss sports physilogist Marco Toigo trained cyclists using high additional loads. After shor training units of only 1.5 hours of effective training time over a duration of 5 weeks endurance capacity could be increased signifficantly. Using the training program EndurEx designed by Toigo Galileo was used very successfully for exampled for triathlets - The undelying concept: "short but very intense" is well known as HIT, High Intensity Training.